This legal notice governs the use of the website www.aim-racingstore.com, which makes available RACING measurements CB Avda. Fco. Javier Saez de Oiza, 216, 28056 Valdebebas, MADRID, CIF E87766465, and email address, info@aim-racingstore.com browsing the www.aim-racingstore.com website attributes the user status of the same and implies full acceptance and without Reserves of each and every one of the provisions included in this legal notice, which may undergo modifications. The user is obliged to make the correct use of the website in accordance with the laws, the good faith, the public order, the uses of the traffic and the present Legal notice. The user will respond to RACING measurements CB or to third parties, any damages that may be caused as a result of the breach of this obligation. 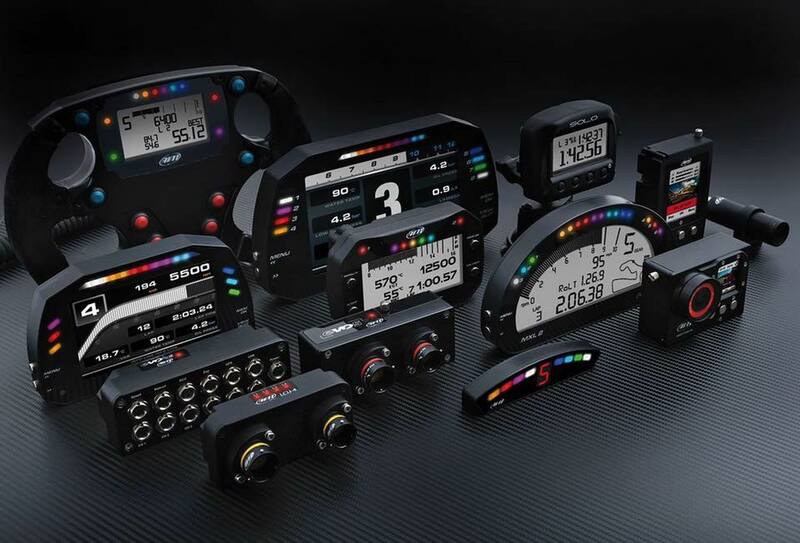 According to article 10 of the Law 34/2002, of 11 July, of services of the information Society and electronic commerce (LSSI-CE) and the law 56/2007, of 28 December, of measures of impulse of the information society, it is reported that this web page , www.aim-racingstore.com, belongs to RACING measurements CB, with C.I.F. number E87766465 and registered office in Avda. Fco. Javier Saez de Oiza, 216, 28056 Valdebebas, MADRID. The website and its services are free access, however, RACING measurements CB conditions the use of some of the services offered on your website to the previous completion of the corresponding form. The user guarantees the authenticity and currentness of all the data that it communicates to RACING measurements CB and will be the only one responsible for the false or inaccurate manifestations that it performs. The user expressly agrees to make proper use of the contents and services of RACING measurements CB and not to use them to, among others: disseminate contents, Criminal, violent, pornographic, racist, xenophobic, offensive, advocacy of terrorism or, in general, contrary to law or public order. Enter into the network computer viruses or perform actions susceptible to altering, damaging, interrupting or generating errors or damages in electronic documents, data or physical and logical systems of RACING measurements CB or third parties; As well as hindering the access of other users to the Web site and its services by means of the massive consumption of the computing resources through which RACING measurements CB provides its services. Try to access the email accounts of other users or restricted areas of the computer systems of RACING measurements CB or third parties and, where appropriate, extract information. Violate the rights of intellectual or industrial property, as well as violate the confidentiality of the information of RACING measurements CB or of third parties. Impersonate the identity of another user, the public administrations or a third party. It is prohibited to establish frames or frames of any kind that wrap around the page or allow the visualization of its contents through Internet addresses other than those on the page and, in any case, this prohibition also includes that are displayed In conjunction with non-page content, in such a way that: it produces error, confusion or deceit in the users on the true origin of the contents. Suppose an act of comparison or unfair imitation. Serve to take advantage of the reputation of the brand and the prestige of RACING measurements CB. reproducing, copying, distributing, making available or otherwise communicating publicly, transforming or modifying the contents, unless it is authorized by the holder of the corresponding rights or is legally permitted. Collect data for advertising purposes and send publicity of any kind and communication. The content of this website is general in nature and has a purely informative purpose, without fully guaranteeing access to all content, its exhaustiveness, correctness, validity or actuality, nor its suitability or usefulness for a goal Specific. RACING measurements CB excludes, to the extent permitted by the legal system, any liability for damages of any nature derived from: the inability to access the website or the lack of veracity, accuracy, exhaustiveness and/or News of the contents, as well as the existence of vices and defects of all kinds of the contents transmitted, disseminated, stored, made available to those that have been accessed through the Web site or the services that are offered. The presence of viruses or other elements in the contents that may cause alterations in the computer systems, electronic documents or data of the users. Failure to comply with the laws, good faith, public order, the use of traffic and the present legal notice as a result of the misuse of the website. In particular, and as an example, RACING measurements CB is not responsible for the actions of third parties that violate intellectual and industrial property rights, business secrets, rights to honor, personal and family intimacy and Image, as well as the rules regarding unfair competition and illicit advertising. Likewise, RACING measurements CB declines any responsibility for the information that is outside this web and is not managed directly by our webmaster. The function of the links that appear in this web is exclusively to inform the user about the existence of other sources susceptible to extend the contents that offers this web site. Www.aim-racingstore.com does not guarantee or be responsible for the operation or Accesibility. For any litigation that incumbent to the website of RACING measurements CB, Spanish legislation will apply, with the courts and tribunals of MADRID (Spain) being competent.